After the Holi celebration we all ready to welcome the Goddess Durga to our home. The time is approaching for the celebration of Chaitra Navratri 2019. According to the Hindu Lunar calendar, this Navaratri falls in the month of Chaitra (first month of lunar calendar), so it is known as Chaitra Navratri. It is also known as Vasant Navratri. Navratri is celebrated twice in a year. This year Navratri falls on 6th April 2019 and will go on till 14th April 2019. 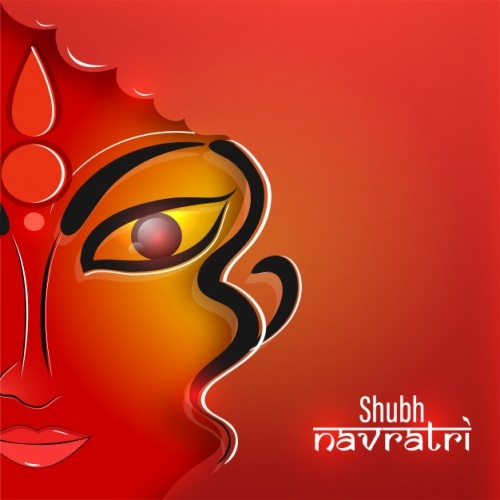 Navratri is one of the most significant Hindu festivals. The word “Navratri” means nine nights. These nine days of celebrations are dedicated to nine avatars of Goddess Durga (also referred to as Shakti) who is believed to descend from heaven to stay with her devotees for these few auspicious days. Durga in Sanskrit means invisible. “DU” is the symbolization of four devils namely poverty, sufferings, Famine and evil habits. The letter “r” symbolizes diseases and the ‘ga” is the destroyer of sins, cruelty and laziness. According to Hindu Mythology, there are four Navratri in a year, but among the four only two Navratri (Chaitra Navratri and Sharad Navratri) are celebrated with much pomp and splendor. Chaitra Navratri is a spring season affair and according to Georgian calendar, it falls in the month of March and April. The nine days are dedicated to nine different forms of Nava Durga. The puja rituals and the offerings of each day are different. As each day is dedicated to the worship of different forms of Goddess Durga. Chaitra Navratri is more popular in northern India. In Maharashtra, Chaitra Navratri begins with Gudi Padwa and in Andhra Pradesh, it begins with Ugadi. 8th April 2019- Chandraghanta- Offered Prasad of milk and sweets. She symbolizes peace and serenity. She is the Goddess of supreme bliss and knowledge. 9th April 2019-Kushmanda-she mounts a tiger and had eight arms which possess various weapons. It is also known as Varad Vinayaka Chauth. 10th April 2019 –Skandmata-she is the provider of knowledge. 11th April 2019-Katyayani- offered Prasad of honey- She is the daughter of Rishi Katyayani. She is one who fights persistently against evils. 12th April 2019-Kaalratri-offered Jaggery as Prasad or sweets made of Jaggery. She is the Goddess who destroys evil, darkness and ignorance. Chaitra Navratri concluded on 14th April or Ram Navami. According to Hindu Mythology, Lord Rama, the 7th incarnation of Lord Vishnu, was born on this auspicious day. Both the much popular form of Navratri (Chaitra Navratri and Sharad Navratri) are celebrated during the major season change. During Navratris the devoted souls preferred to eat for without onion or garlic. Some devotees prefer milk and fruits. Many of the devotees quit smoking, avoid alcohols and often deny eating Non-Vegetarian food items. During these seasonal transitions, our immunity and the digestive system tends to weaken a lot, which is why it is advised to eat light during that time. Eating heavy and greasy food during this time may lead to problems like indigestion and flatulence. So during the Navratri, our immunity and digestive system are regulated. The rituals of Navratri include fasting for the nine days and performing Kanya Puja. Kanya Puja is done on the ninth day of Navratri. Goddess Shailputri(Daughter of Lord Himalaya) is worshipped on the first day of Navratri. Praying and fasting is the prime element of Chaitra Navratri. The whole house is cleaned and for the welcome ceremony of Goddess Durga. The devoted soul observes fast for all nine days. Only “Satvik” food like potatoes, curd, milk and fruits are recommended to take during fast. The devotees spend their day worshipping the Goddess and chanting the Navratri mantras. The fast is broken on a ninth day after the ‘havan’ and the Prasad, after offering to the Goddess, is eaten along with other members of the family. Meaning: ‘She is the most auspicious one and the one who bestows auspiciousness upon all of the worlds. She is pure and holy. She protects those who surrender to her and is also called the Mother of the three worlds and is Gauri, daughter of the mountain king. We bow down to Mother Durga again and again. We worship her. The auspicious nine days of Chaitra Navratri is truly dedicated to the worshipping of nine forms of Goddess Durga. This is the most important festivals among Hindus. Those who truly offer prayers and chant mantras the Goddess Durga bestowed them with divine blessings and prosperity. This festival also marks the beginning of the summer season and the vital time for climatic variation. It is believed that the fast during the nine days of Chaitra Navratri helps the body to get prepared for the summer season. The devotees spend their day chanting Durga mantras ad praise Goddess Durga. The cosmic forces of the Goddess Durga bless the Hindu devotees with spirituality and well being. The festivities begin from the ‘pratipada’ (1st day) till the ‘navami’ (9th day) of the Shukla Paksha (the bright fortnight of the moon) during the Hindu month of ‘Chaitra’, which is also the first month of the Hindu calendar and hence the name, Chaitra Navratri. And this year 2019 it will commence from 6th April 2019 and concludes on 14th April 2019.